We awoke to the sounds of a gentle rain. 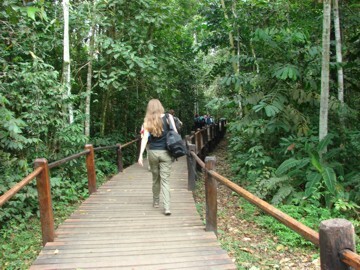 We had to get ready early by separating what would go into the rainforest with us and what would stay behind. Charlotte dreamed of giving out pens with energy saving light bulbs on them. I dreamed of someone who had robbed a bank and was using a group of hostages to escape. I kept trying to find high up places in buildings to watch all of this unfold. 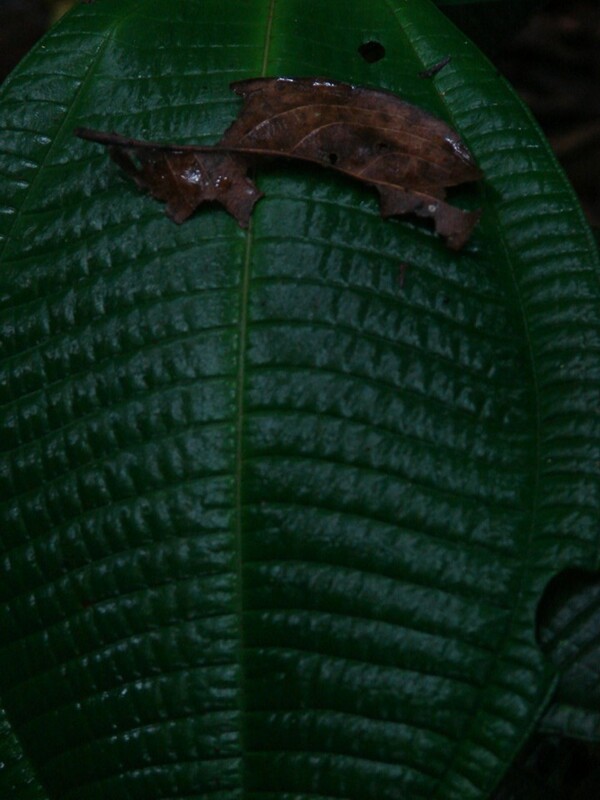 We got our things separated and wrapped all the rainforest stuff in 2 waterproof bags and put them in backpacks. The rest of our stuff would stay with the bus until we returned 5 or 6 days later. After an early breakfast we went back about 6 kilometers to a town called Shell – founded by the oil company – where there was a military base and an airport. 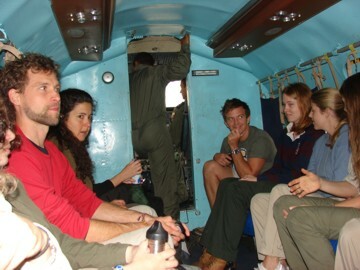 We went onto the military base and then onto an aircraft used by the military for parachuting. Charlotte tried taking a picture of the plane on the military base but was warned that it might cost her a jail term. We joined another group led by Daniel. 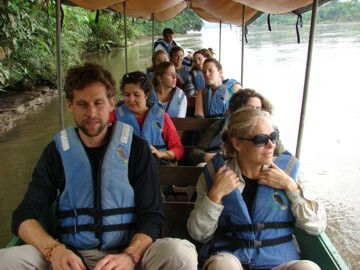 Daniel is a leader of the Ecuador tourism industry and one of the two founders of the eco-lodge we are going to. 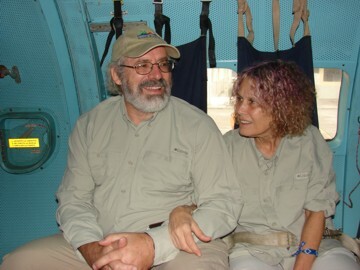 The three person plane crew got us off the ground and for about an hour we flew deeper into the jungle, following the large Pastaza River. 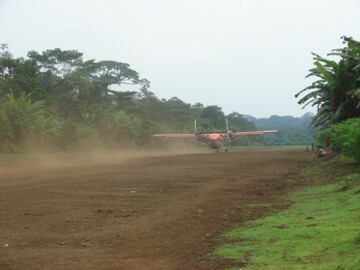 Suddenly we dropped from the sky and landed on a dirt runway in the jungle. 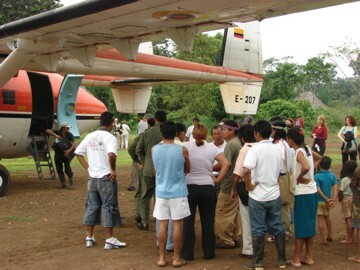 A lot of people from the jungle were waiting for the plane. When we got off, the plane was filled with containers going back to Puyo and Shell. 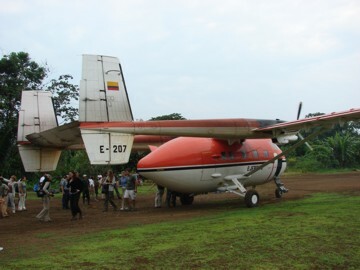 We waited until the plane successfully got back in the sky and then began a walk to the river. 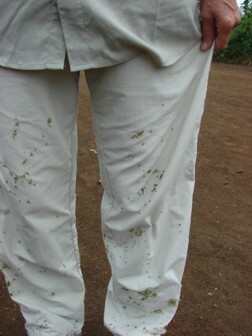 Charlotte went into the jungle to take a pee but came out covered in burrs. It took quite a while in the boat and later to pick them all off. 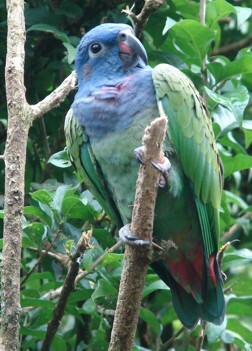 As we walked away from the airstrip, we passed something that we did not recognize for what it was. 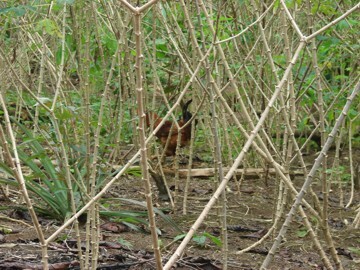 This is actually a garden of manioc or cassava or yucca. 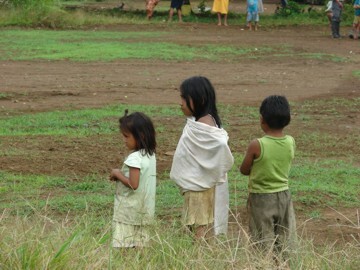 We walked through the little village of Kapawi but there was almost no one there. 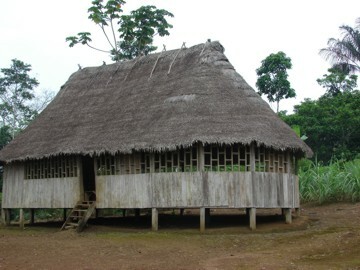 An empty school, library, mission, clinic and a few other buildings. 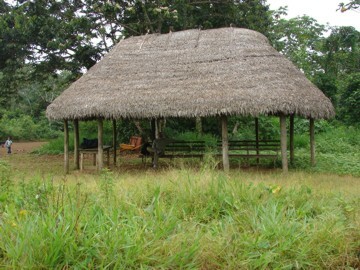 Kapawi Village has one of the few clinics that had a trained doctor. 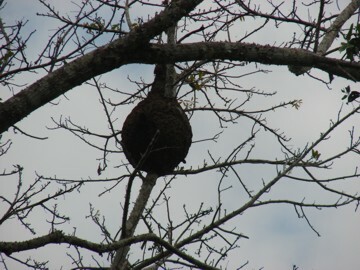 Heading down to the river there was a large termite nest high in a tree. 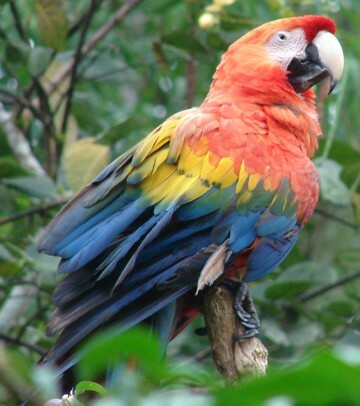 Later I touched one of these and was surprised that the outer shell was soft and just paper thin. 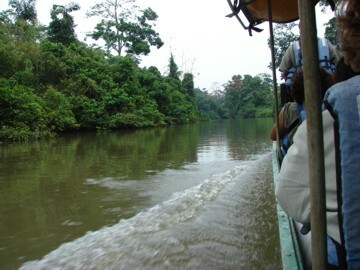 We reached the river and got in a long narrow boat like a canoe that seated two people across. 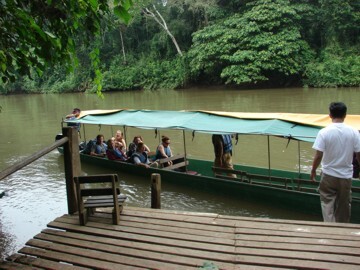 A powerful boat motor took us up the Pastaza River and then up a side river, the Capahuari River. 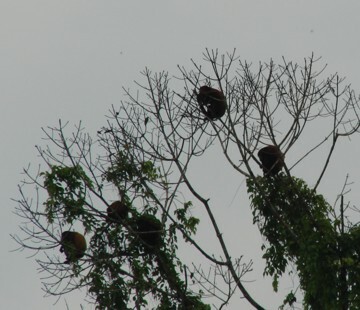 We stopped to watch some howler monkeys high up in a tree. 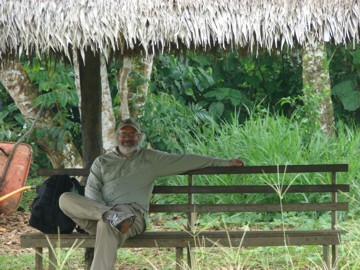 I asked Daniel how they picked the spot for the eco-lodge. 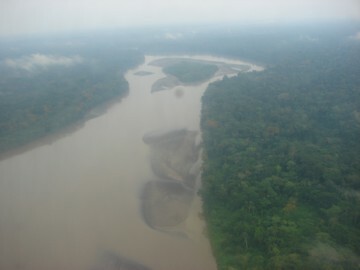 He said he and the Achuar went all over the river for 6 days until they spotted some pink dolphins. 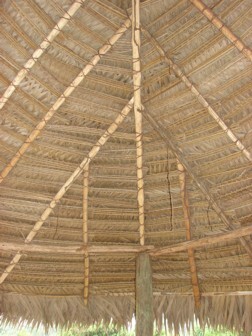 They followed the dolphins to a lagoon and after some further checking, confirmed that the dolphins had led them to the place to create the village. 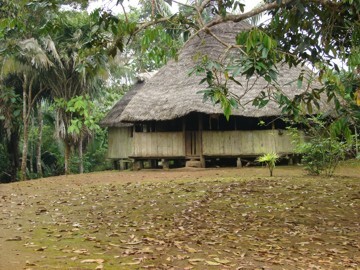 We reached the landing to get out and walk to the eco-lodge.